Happy New Year! And what a great way to start off the year with recognition! 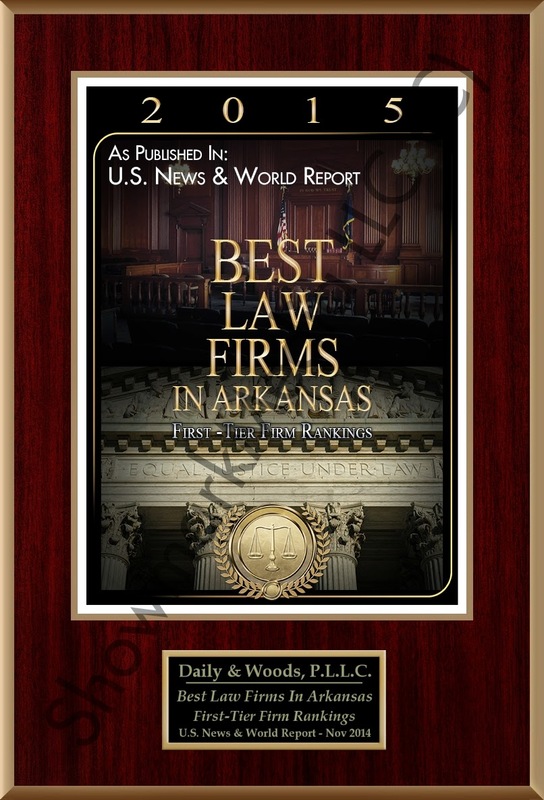 Once again Daily & Woods received a distinction from U.S. News and World Report as one of the top law firms in the State of Arkansas. Our firm was also specifically recognized in the areas of real estate litigation and oil and gas law. I'm proud to be a part of a firm with such distinguished members and I'm looking forward to another great year of providing quality legal service to our Arkansas clients.